There seems to be a common misconception that Housing Associations are the same as local councils. This is not the case, housing associations are separate entities that look after their own dwellings and house their own tenants according to their own criteria. Here we look at the differences between council dwellings and those provided by Housing Associations. A Housing Association is a privately run and privately funded organisation that seeks to provide low cost housing for its tenants depending on their circumstances. Housing Associations are normally independently operated organisations that are run as non-profit businesses, most of the money received from rents put back into the maintenance of existing properties and the building or purchasing of new ones. Who Can Apply for Housing Association Accommodation? The answer is anyone over the age of eighteen. If you are over eighteen and looking for a home then a Housing Association is as good a place to start than anywhere. They do operate a waiting list system in the same manner as a local council would and because they have fewer properties than councils the waiting list can sometimes be quite long. That said Housing Associations can – just as councils do – prioritise housing depending on the needs of the individual. For example if you are single parent with a child then you may qualify for additional points on their point scoring system which pushes your position on the waiting list higher. If I Rent a Housing Association Property Who Do I Pay Rent To? You would pay your rent to the Housing Association in the same way as you would to a council. If you are in a Housing Association house on a low income you can apply for housing benefit in the same way an individual would if they lived in a council house. You are still liable to pay council tax however, this is not affected by the ownership of the property. Who Carries Out Repairs to a Housing Association Property? The Housing Association – as a private landlord – is responsible for the carrying out of specific repairs to your property providing they fall within those repairs and maintenance listed in your tenancy agreement. If for example you accidentally break a window then you are liable to pay for these repairs as general accidental damage or mistreatment of the property are not covered by the Housing Association’s terms and conditions. Could I Buy My Housing Association House? 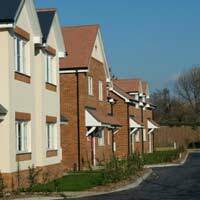 After you have been a tenant of your chosen Housing Association for a number of years – normally five years in line with the Right to buy schemes operated by local councils – you can apply to buy your home from the Housing Association. There is a discount applied to the cost of the property and this is worked out by your Housing Association taking certain criteria into account such as how your rent was paid i.e. : where you late paying your rent? In addition the Housing Association may also seek to investigate your credit history to ensure that there is no adverse credit which may cause a problem with the procurement of a mortgage. It is worth noting however that the sale of the property is at the Housing Association’s discretion and they have the right to refuse such a sale if they so wish. For more information on Housing Association properties in your area you should initially contact your local council who will be happy to provide you with a list of Housing Associations in your area. Alternatively you will find them listed in your local Yellow Pages. Hi I am looking for a flat to rent 1 or 2 bedroom with living room am single mom homeless staying in a friend's house in her kitchen am expecting my baby in 10 May am on low income I try many times to rent private but been refused because of my pregnancy and safety in a share and single room how can register as well I need a place as soon as possible before baby is born. Hi , Can you please explain to me in depth how I can go about registering. Can you please explain to me in depth how I can go about registering.